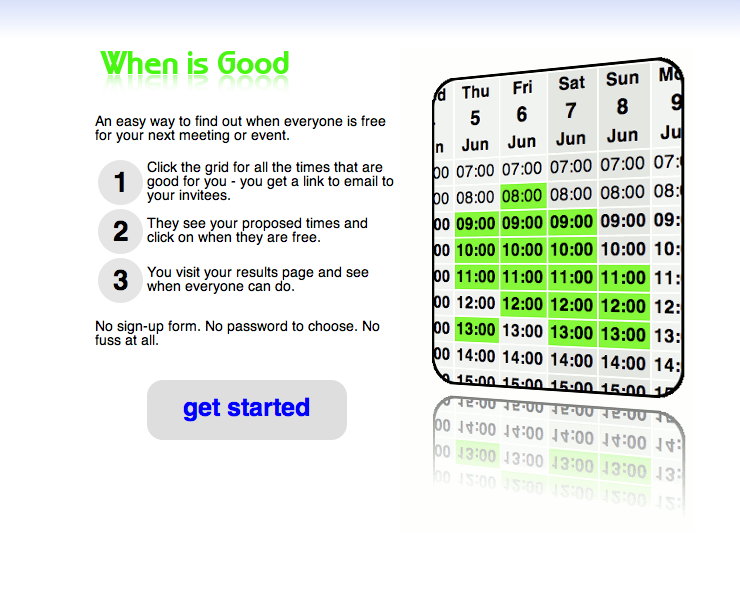 Need to schedule a meeting or phone call, but can’t agree on a time that is good for everyone? 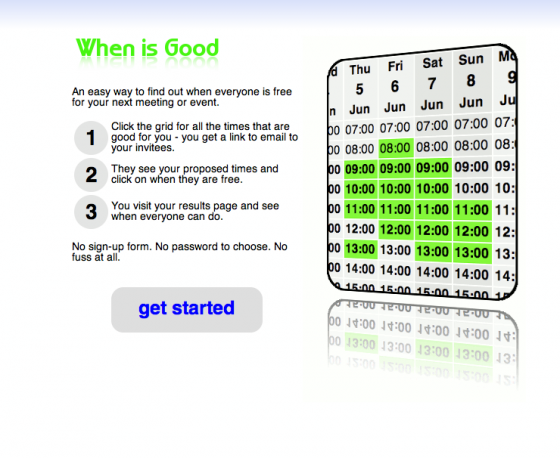 Try using When Is Good, a dead-simple Web app that does just one thing: zero in on a meeting time that is good for everyone without sending 20 emails back and forth. There are plenty of other apps that help you find a mutually convenient time time for meetings or events (such as Presdo, Scheduly, or Jiffle). But When Is Good strips the process down to its bare essentials. No login is required. You simply highlight the times that are good for you and create an event. You are given a code and a link. You send the link out to your invitees and they are shown the available times, and they select the ones that are good for them. Easy. The UK-based service is working on Outlook and Google Calendar integration, as well as premium features. For instance, you can pay 180 Pounds a year to have a branded version of the app hosted on your company’s own subdomain.